A testbed receiver and power system was recently installed on Niwot Ridge near the Continental Divide. The Niwot Ridge tundralab is located at 11,600 feet on the Continental Divide at the University of Colorado Mountain Research Station Facility. This site is subject to extreme winds, spindrift, and rime icing. 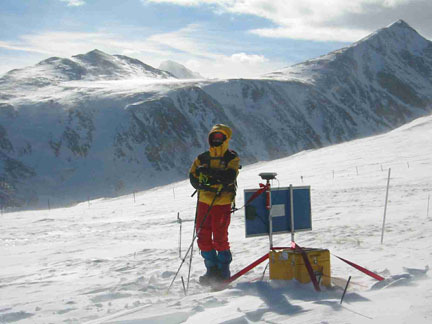 University of Colorado infrastructure at the site provides current and historical meteorological data, a web camera, and internet access, making it an ideal "back-yard" test site for polar technology. UNAVCO maintains a test platform consisting of an enclosure and solar power system that is used for testing and validating instrument and communication options. The site has been used to test a new weather station and iridium data communications system.